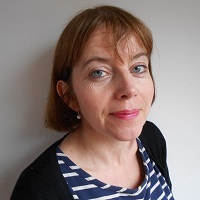 Kate Brian is regional organiser for Infertility Network UK for London and the South East, and editor of the Journal of Fertility Counselling. She is the author of four books about infertility, including ‘The Complete Guide to IVF’. Here, Kate shares some of her top tips for dealing with infertility. Finding that you can’t conceive when you want to is tough, but there are things that you can do to help yourself. Fertility treatment is sometimes described as an ‘emotional roller coaster’ and there will be highs and lows along the way. These tips can’t ensure success, but they can make a difference to how you feel as you go through treatment. Make sure you’re well-informed – Finding out all that you can about infertility and about any treatment you may need will really help you along the way. Always take home any literature that you are offered at the clinic, and make time to read it. There are lots of books and reliable websites which will help you to find out more. One of the difficult things about infertility is the feeling that you are not in control of what is happening to you; being well-informed will help you to regain some of that control. Talk to other people – You may find that you feel isolated or cut off from family and friends who all seem to be getting pregnant easily. It can feel as if you’re the only one who is having difficulty conceiving, but in fact infertility is very common, with one in six of the population experiencing problems when they want to start a family. You may find it hard to talk about what you are going through, but it can be incredibly helpful to share experiences with others who are finding it hard to conceive. Just knowing that you are not alone can help you to feel stronger. Join a support group – Going along to a support group for the first time isn’t always easy, but most people who attend a group find it very helpful. Not only do you get to meet other people who are going through similar experiences, but you will also benefit from the support and advice that the group can provide. Check out online support – There are a wide variety of online support networks where you can read about other people’s experiences of infertility and treatment. You do need to be a little careful with forums, as the information other people may give is not always medically accurate and can be subjective; if you keep this in mind you will find plenty of information online. You don’t have to post yourself – many people prefer just to read about other people’s experiences. Think about counselling – You may feel that you don’t need counselling when you first go to the fertility clinic, but it is a helpful source of support when you are going through treatment. Some people assume that they should only see the counsellor if they are not coping, but it is a good way of helping yourself through treatment – there is certainly nothing to be lost and potentially a lot to be gained from a session with the counsellor. Don’t forget that all your conversations with a counsellor will be confidential. Be kind to yourself – It’s important to look after yourself when you’re going through fertility treatment. It’s fine to avoid events which you know you are going to find difficult, and you should leave plenty of time for things you enjoy whatever they may be, whether it’s going to the cinema, swimming, country walks or reading. Pampering yourself with a massage, pedicure or haircut can help too. Try not to be hard on yourself, or to set unrealistic targets for the sort of lifestyle that you ought to be leading when you’re trying to conceive. Fertility treatment is not easy, and you should try to take every opportunity to spoil yourself a little if you can. Bourn Hall provides independent counselling for all our patients – click here to see more.